Artist or Politician? 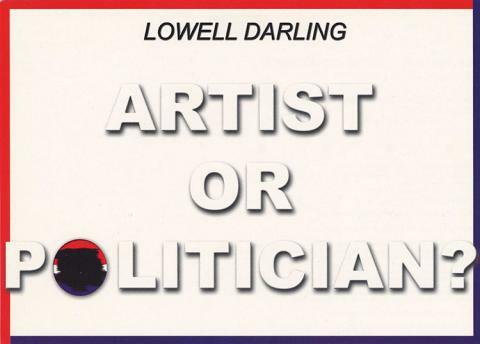 chronicles 35 years of Darling's pro-bono political action in the context of his other works. While the exhibit includes examples of his early public works, such as urban acupuncture, his involvement in Mail Art, and examples of his ongoing series Hollywood Archaeology, it also highlights his political campaigns, including his 1978 gubernatorial campaign against incumbent Governor Jerry Brown.